GREETINGS FROM OUR SOLAR POWERED OFFICE! For those of you who aren't "on-line", or are beginning your project, we have an extremely informative catalog on disc for $10 ($20 out of country) - essential to your energy library! 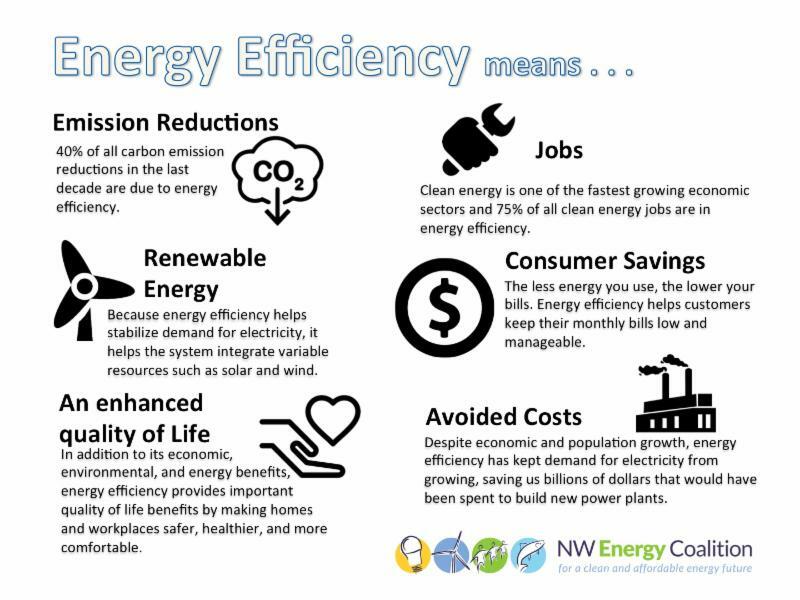 Products, system sizing, pricing, components, importance of energy efficient appliances, battery care, and wind turbines are just some of the topics covered. If you are on on-line, you can see example systems at www.oasismontana.com/systems.html. To assist your information input, we've tried to develop as much on-line information as we can. For solar water pumping, see www.PVsolarpumps.com; for utility-tied photovoltaic systems, visit www.grid-tie.com; for efficient AC appliances, DC 'fridges, coolers and freezers, see www.eco-fridge.com; for natural and LP gas appliances, see www.LPappliances.com. We now offer composting toilets at www.eco-potty.com and our main page is www.oasismontana.com. Visit our web pages and stay awhile! Or send us an e-mail and get on our e-list for the latest technology information and pricing specials. In 2009, the first juvenile salmonids in almost 40 years were passed below the Pelton-Round Butte hydroelectric project with the completion of the award winning selective water withdrawal (SWW) project. The ability to capture and pass fish from Lake Billy Chinook to the Lower Deschutes River was the first step to reintroduce wild fish runs back into the upper Deschutes, Crooked, and Metolius River Basins. Since then adult salmon have returned to the fish trap at the base of the Pelton Regulating Dam at approximate river mile 100. The next challenge was to release the returning adults into Lake Billy Chinook so that they are able to continue their journey up river to spawn. In the summer months the surface temperatures of the reservoir exceed limits found to be harmful or distressing to the coldwater salmon and steelhead. Engineers and biologists had to work together to devise a plan to release fish into Lake Billy Chinook while preventing exposure to the upper 10-15ft of warm surface water. So, a concrete vault was built at the edge of the lake with a pipe that extends 30 ft deep into the reservoir. This would provide a pathway down into the cool water of the lake. To maintain water temperatures within the vault a pump would be needed to circulate and cycle the water within the facility. In fact, the role of the pumping system was twofold. First, the pump would remove warming water near the surface to be replaced with cool deep water. And second, this would provide a flow of cold water up the pipe which would allow the fish to locate the release pipe. Many options were considered for the pumping flows; first, an electric pump with controls for operators to control remotely. The steep canyon wall limited the location of the facility to allow truck access. The selected site was about ½ mile upstream of Round Butte Dam. 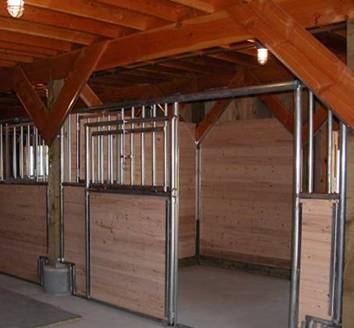 This option met the needs of the facility, but was very costly. The second option was to use a gas or diesel pump. This option had environmental and logistical issues. First was the potential of a fuel spill into the waters of Lake Billy Chinook during operation, storage, transportation, or refueling. The second was control. Personnel would have to operate the pump before processing fish, or have to wait with fish sitting in the truck while the pump cycled the warm water out of the system. The solution was to use a solar powered pump. 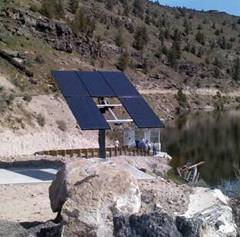 So, the Oasis Montana technicians provided a Grundfos pump system, matched with a 800+ watt solar array. With the system installed, the water begins to cycle when the sun rises and the internal temperatures are maintained throughout the day with no need for overhead power lines, control panels, or risk of chemical spill. On May 30th, 2012, the first salmon was released into the facility. After a few laps, the female Chinook found the release pipe and swam down its length into Lake Billy Chinook to continue her journey home. To quote the onsite technicians: “At 9:57 a.m. Wednesday morning, the first Spring Chinook was released above Round Butte Dam! 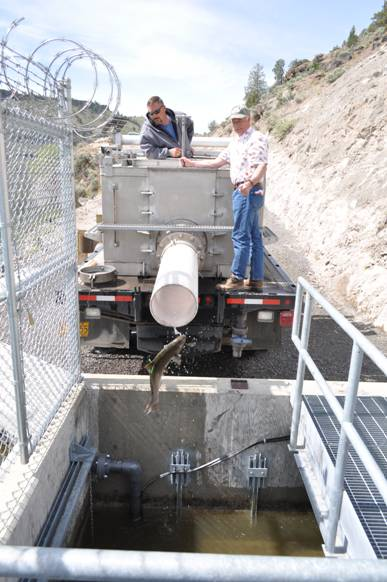 The fish (named ‘Glory’) was released into the Round Butte Adult Release Vault within the forebay of Round Butte Dam to continue its upstream migration into the upper Deschutes basin. Congratulations to all for all the hard work and dedication! YEEE-HAH! It’s a glorious day for all!” The fish had no trouble finding the release pipe — it sensed the cold water and was “down in a flash”. You can find more background information at www.deschutespassage.com. Need light somewhere but don’t feel like trenching in power over from your home? Would you really like to have an electric gate but not ready to pay the utility company hundreds to run power out there? How about a garden water fountain? Consider solar power as the simple, hassle-free and inexpensive solution! That’s right, these relatively small loads can be easily powered by a small solar module; and, along with a few other components will provide you with near-maintenance-free operation for many years to come. Take for example the 12V LED light kit below, that can be easily installed in a barn, light pole driveway entrance, etc. . . The basic set up is a small 6 watt solar module, solar charge controller, maintenance-free AGM battery and an LED light bulb and fixture—all this for $225! Not a bad price, considering you will not have to dig trenches and/or pay an electrician to come out and run AC lines to your project. Skip the headaches and hassles; give us a call with your idea and let us configure your home project. As with any other solar power system, the solar module needs to be mounted in the unobscured sunlight facing south. As you can see by the basic wiring diagram this is a simple installation. Components and pricing depend on location and amount of light needed or space to be lit. At the time of this press release, some module prices are changing--sometimes for the better. Please call for current pricing and availability. essential for complete battery charging while preventing overcharging. 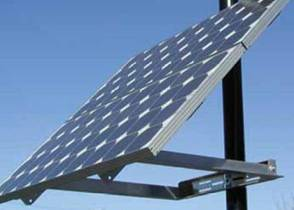 Sizing a charge controller is based on the input amperage and voltage of the solar array. At the right is the new Classic MPPT Charge Controller by Midnight Solar. 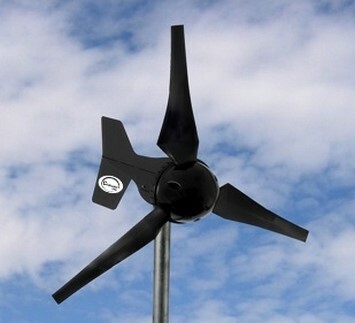 It’s available in several sizes and suitable for wind and hydro systems in addition to solar power. It is able to take a high voltage solar array and step it down to whatever voltage your batteries need, and maximizes your solar DC output. The Classic comes with a manufacturer’s 5 year warranty. Call us for your pricing and what model best suits your power project. We also offer most other makes of charge controllers, including Morningstar, Blue Sky Energy, Outback Power, Schneider Electric (formerly Xantrex/Trace), Steca, Specialty Concepts, Phocos and Apollo Solar. Whether it’s for your RV, boat, cabin, business or home system, we can specify the right regulator for your system and budget. WHO WE ARE and ORDERING INFORMATION: Chris Daum, owner and manager of Oasis Montana, has been in the renewable energy field for 23 years. She and our staff offer experience, personalized service, tech support, quality components and good pricing . We are happy to work with your installer, electrician, or contractor, and locally we can install your power system (or even fly to your site for installation). 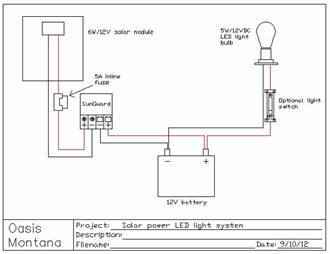 We provide detailed wiring diagrams with the systems we sell. TO PLACE AN ORDER: E-mail or call us for your freight; if you have any questions about your system or product, please contact us. E-mail is easiest and fastest (but we know that you aren’t all on line). We accept Visa/Mastercard (personal and business checks are fine). For our international customers, we accept bank transfers - e-mail or call us for our banking information. Our hours are 8:00 am to 4:30 pm Mountain Time, Mon. – Fri. If we‘re on another line when you call, please leave us a message, and we’ll get back to you as soon as we can. 406-777-4321 or 4309 or e-mail us at info@oasismontana.com — for tech support on renewable energy systems, e-mail larry@oasismontana.com. We’d be very happy to help you with your power project — send an e-mail or give us a call! 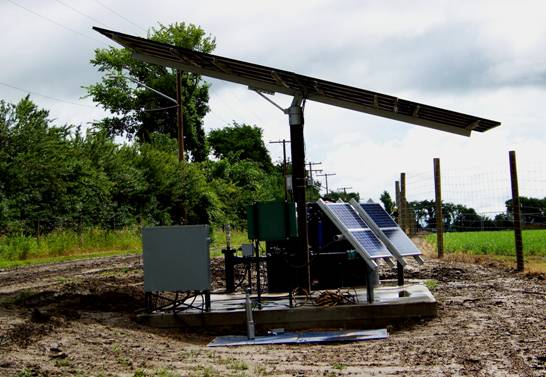 With the cost of photovoltaic power coming down, many farmers, ranchers and other agricultural growers are finding solar pumping to be a cost effective method of providing adequate water for their crops or livestock. Increasing fuel prices and recent consumer interest in renewable energy sources have resulted in greater availability of affordable solar energy equipment which will potentially make ‘off-grid’ irrigation systems more economically feasible for use in areas that do not have the required electrical infrastructure. These systems will open up producers’ ability to diversify their cropping practices, while reducing their reliance on non-renewable energy sources, especially in areas where seasonal precipitation is less than crop water requirements. In this regard, solar pow ered systems are particularly attractive, since crop water requirements (and livestock water needs) are highest when the potential for creating energy from the sun is most potent. As the cost of these systems continues to decrease, these systems become more economically viable, opening the door for irrigated production in areas that historically been unable to irrigate due to the high capital investment in infrastructure required. 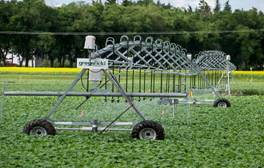 The system above is watering approximately 3.5 acres in a research project for the University of Saskatchawan. 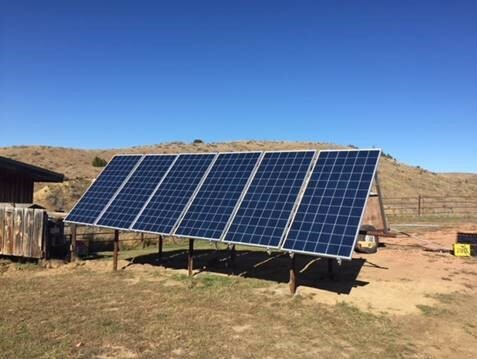 It provides 30 GPM at 50 ft. of head and can supply 1/2” of water each day over this acreage; the solar array is 3200 watts and the pivot system operates off of 160W of PV, with 20kWhrs anticipated daily production during the growing season. Cost of this system depends on site specifics, location, and of course, amount of water desired and seasons of use. If you think you may have a project of this nature, get us the site information and we’ll tell you what it will take! 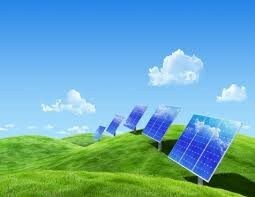 www.PVsolarpumps.com. 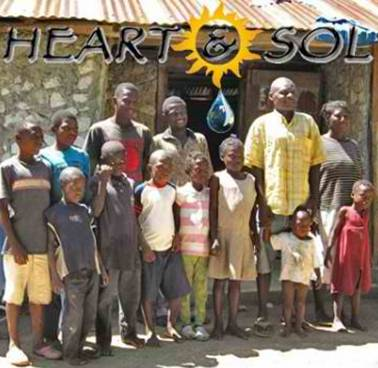 Join Heart and Sol in raising funds to install and provide training on a solar water pumping system in the remote Haitian village of Te Wouj, where there is no access to clean drinking water. The system will not only provide safe, sanitary water for the entire village, but will relieve children of their daily water hauling responsibilities so they can focus on their education and on being kids. Currently most of the children in this village do not attend school or have much time for play, as they spend the majority of their day hiking to retrieve clean water for their families. Details: The solar water pumping system will be installed at the river and pumped into Te Wouj, providing enough water for the entire village's drinking and domestic needs. The simple design of this system will make it effective, easy to use and maintain, and a valuable resource for this and future generations. Working with this project, we will also be providing a hands-on training to anyone in Te Wouj or the surrounding communities interested in learning about the design, installation, maintenance and upkeep of solar water pumping systems. It is our hope that through this training, the participants will gain the skills to expand this viable trade throughout Haiti. We will also be adding a simple public health component on the importance of clean water to personal and community health. The full course is designed not only to empower people to take care of their health, but also their economic future. The cost of the system includes the design, installation, equipment, spare components, essential maintenance items and the full training for all participants. The Future: This is Heart & Sol's pilot project, and the first part of a larger vision to empower people in devastated areas to sustain vibrant personal and economic health. We invite you to be part of the beginning of an exciting world solution. Become part of our Fundraising Team on CrowdRise.com. Click the Join the Team button and help us raise funds for our pilot project. Help us spread the word by sharing our cause with your personal and online network. Mark Dickson, at right, worked on several solar pumping and power systems while visiting Haiti in March of 2011, and thanks you in advance for your help and support! NO POWER IS NO PROBLEM for these gas ranges: these DC stoves (with an electric ignition battery pack, eight double A cells) do offer some benefits compared to standard gas pilot ignition ranges, including enhanced safety, convenience, energy savings, and the ability to work in the absence of AC power or during power outages. If you don’t put batteries in them, you can still light the oven and burners with a match. These are available in two styles in 20”, 24”, 30” and 36” widths, and are available in white, bisque and black. The stove pictured at the left is a model BFK5S39WP, 30" wide, $680 plus freight. These are made in the USA by the Peerless Premier Mfg. Company; we like these ranges as they are mechanically simple and have very few problems across their life span; they come set up for natural gas but are easily converted for propane (LP) use. You can view more information about these models at http://www.LPappliances.com/DCStoves.html. 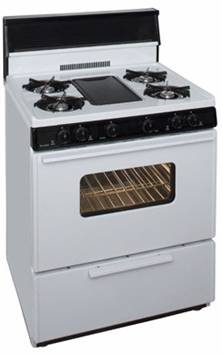 And you can view our entire gas appliance line at http://www.LPappliances.com. 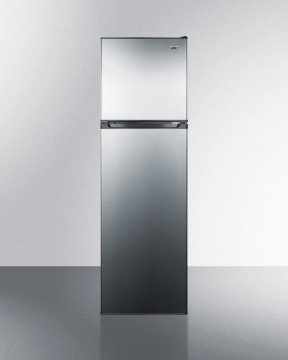 BFR105 Battery-Free Solar Refrigerator, new from Sundanzer! 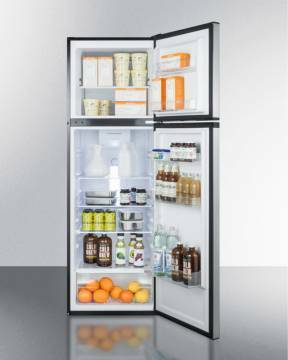 This refrigerator maintains cold temperatures for 4-5 days without the need for a battery. It contains a built-in ice bank that freezes when the sun shines. It acts like a battery but will never wear out. It cannot be damaged by over or undercharging like a normal lead acid battery. The higher initial cost replaces what you’d spend on your first battery and charge controller. After that, there is no scheduled maintenance for the life of the refrigerator other than normal cleaning. Ice packs are shown blue for illustrative purposes only. Actual ice packs are white. 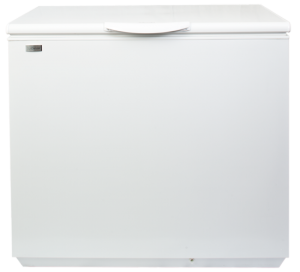 This little refrigerator will run directly off of one 130W solar module; it contains CFC-free refrigerant, has a scratch resistant galvanized steel exterior with an easy to clean aluminum interior. 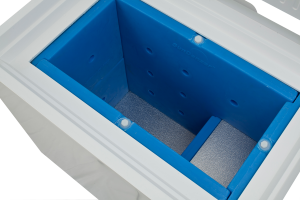 The thermal packs custom fit right in the unit, and there’s an interior light for better visibility, auto temperature control and a basket for freeze protection. When this model is cooling down on a sunny day, there is some possibility of freezing the contents in the lowest (coldest) section refrigerator, so place your contents accordingly. This can be an advantage if the user wants very cold drinks or even the ability to make ice. This is suitable for off-grid living, as a back-up refrigerator or for your remote cabin. A solar module kit is available and can ship on the same pallet as the refrigerator; it includes a 130W module and 40 ft. of USE wire and MC connectors for easy hook-up; that costs an additional $500. These have a 2-year manufacturer’s warranty. We think our friends in various relief organizations will find this a most exciting and useful product! 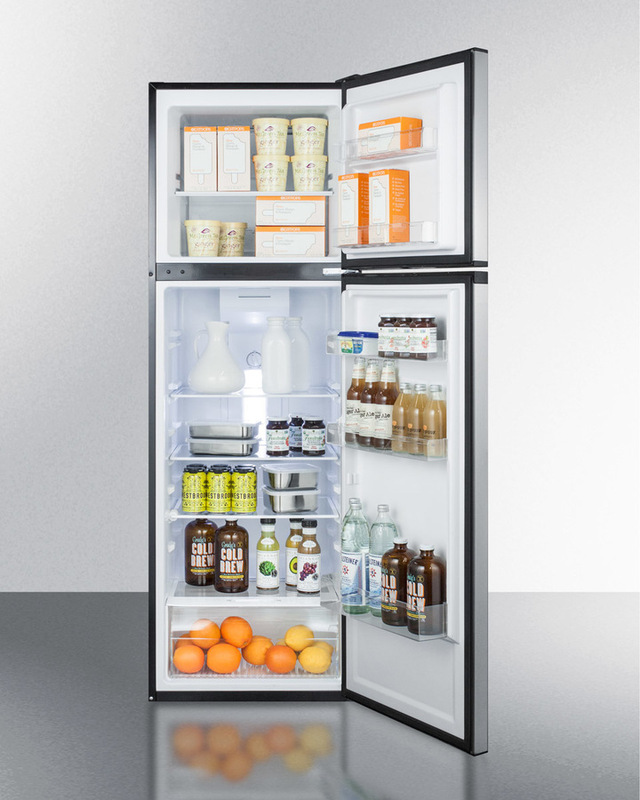 You can view pictures and specifications about all of these refrigerators at at www.LPappliances.com. An excellent choice when you need a dependable power solution for your home or business! This is one of the most powerful DC to AC true sinewave inverter, battery charger and dual AC inputs, with 120/240 split-phase output, providing a total power solution that seamlessly integrates with traditional North American wiring practices. The Radian Series has a stainless steel face with galvanized steel enclosure, with Outback’s signature ruggedness and a lustrous modern appearance. And once your batteries are full, excess power is fed back to the utility for grid-tied use. Unique dual power module design provides excellent efficiency at both low and full power applications, while providing redundancy for critical applications; this also allows for easy field servicing of installed systems, or easy integration (paralleling additional units) if power requirements increase in the future. Since this integrates with the Outback MATE 3 Monitor and HUB Communications Manager, this enables the Radian GS8048 to connect to other Outback electronics for ultimate system information. $5399 plus freight. 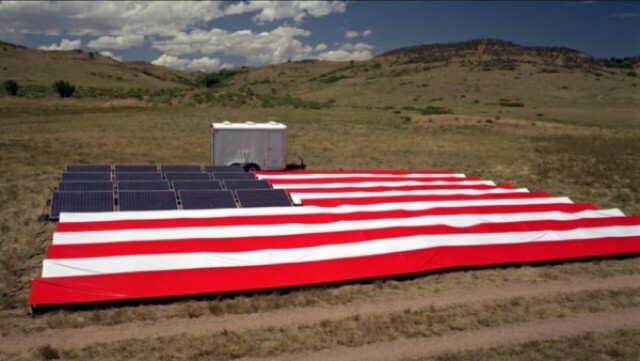 Find out what solar incentives are available in your state at http://www.dsireusa.org. RE NEWS BITES... NREL Looks at Cradle-to-Grave Greenhouse Gas Emissions for Energy Technologies: A new approach to assessing greenhouse-gas emissions from coal, wind, solar and other energy technologies paints a much more precise picture of cradle-to-grave emissions and should help sharpen decisions on what new energy projects to build. NREL analysts looked at more than 2,000 studies across several energy technologies, applied quality controls and greatly narrowed the range of estimates for greenhouse-gas emissions. The harmonization found that cradle-to-grave greenhouse-gas emissions from solar photovoltaics are about 5 percent of those from coal; that wind and solar are about equal in emissions; and that nuclear energy is on a par with renewable energy, except for waste disposal. And the analysis succeeded in narrowing the huge range of estimates – in some cases by 80 percent to 90 percent – to a robust median, improving precision, and giving stakeholders a much clearer look at the likely environmental impacts of various projects. Read more at http://www.nrel.gov/news/press/2012/1832.html. What if solar power got the same subsidies as fossil fuels? http://holykaw.alltop.com/what-if-solar-got-fossil-fuel-subsidies-infog for a nice infographic article about how green energy gets a bad rap in America (thanks to an avalanche of fossil fuel lobbyists). United Kingdom Tops in Energy Efficiency; U.S. Lags in Ninth Place: http://www.aceee.org/press/2012/07/aceee-united-kingdom-tops-energy-eff The United Kingdom comes in first in a new energy efficiency ranking of the world's 12 major economies, followed closely by Germany, Italy, and Japan, according to the first-ever "International Energy Efficiency Scorecard." The report finds that in the last decade the U.S. has made "limited or little progress toward greater efficiency at the national level," putting it in 9th place behind China, France, and Australia. The rankings include 12 of the world's largest economies: Australia, Brazil, Canada, China, France, Germany, Italy, Japan, Russia, the United Kingdom, the United States, and the European Union. These 12 economies represent over 78 percent of global gross domestic product; 63 percent of global energy consumption; and 62 percent of the global carbon-dioxide equivalent emissions. On a scale of 100 possible points in 27 categories, the nations were ranked by ACEEE as follows: (1) the United Kingdom; (2) Germany; (3) Italy; (4) Japan; (5) France; (6) the European Union, Australia, and China (3-way tie); (9) the U.S.; (10) Brazil; (11) Canada; and (12) Russia. Are Solar Jobs in the U.S. Rising or Declining? http://www.renewableenergyworld.com/rea/news/article/2012/09/are-solar-jobs-in-the-u-s-rising-or-declining?cmpid=WNL-Wednesday-September26-2012 The U.S. solar industry employed more than 100,000 Americans in 2011, a figure that represents a 6.8% increase in employment from 2010. This means that the solar industry created jobs at a rate nearly ten times faster than the overall economy. Although the solar industry stems from a small base, its growth indicates that solar is likely to be a winning proposition for lawmakers. But the question is: Can the U.S. expect this kind of growth in 2012? Fortunately, there are countless examples of solar industry growth and job creation throughout the U.S. Most recently, Semprius announced that it is opening a new solar manufacturing facility in Henderson, NC that will create at least 250 new jobs, and a German solar-panel manufacturing company, Solarzentrum, announced plans to expand into Ohio and create 140 new solar jobs. Algenol Confirms Rising Yields in Algae-to-Ethanol System: http://www.biofuelsdigest.com/bdigest/2012/09/25/take-it-to-the-limit-algenol-and-rising-yields-in-advanced-biofuels Algenol Biofuels reported that its four-acre algae-to-ethanol facility in Lee County, Florida, has achieved continuous output at the 7,000 gallon-per-acre level, exceeding the company's initial target of 6,000. The next step for Algenol is the establishment of a 36-acre biorefinery, which is slated to enter service in the first quarter of 2013. Algenol's results, as well as those from Joule Unlimited, indicate their next-generation systems are capable of yielding up to 10 times the output achievable in first-generation biofuel systems. More importantly, these are yields that can be achieved with economically-feasible photobioreactor units and are confirmed in the field using commercial units under normal operating conditions. 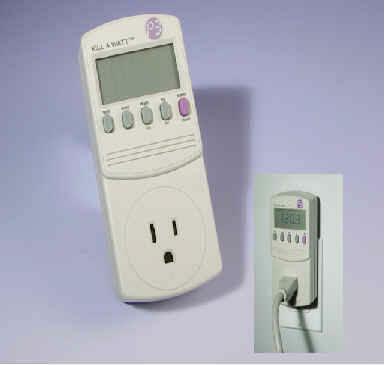 Kill-a-Watt, with an easy-to-read LCD display, counts consumption by the kilowatt-hour, same as your local utility. With the help of Kill-a-Watt you can figure out your electrical expenses by the day, week, month or year on a given device. Kill-a-Watt can check the quality of your power by monitoring Voltage, Line Frequency, and Power Factor. NEW PRICE of $25. The GREEN MOVEMENT….In the checkout line at the grocery store, the young cashier told an older woman, who was a very young 60, that she should bring her own grocery bags because plastic bags aren’t good for the environment. The woman apologized to her and explained, “We didn’t have the green movement in my day.” The clerk responded, “That's our problem today. Your generation did not care enough to save our environment. She was right. Our generation didn’t have the green thing in its day. Back then, we returned milk bottles, soda bottles, and beer bottles to the store. The store sent them back to the plant to be washed and sterilized and refilled, so it could use the same bottles over and over. So they really were recycled. But we didn’t have the green thing back in the day. We also walked up stairs, because we didn’t have an escalator in every store and office building. We walked to the grocery store and didn’t climb into a 300-horsepower machine every time we had to go two blocks. But she was right, we didn’t have the green thing in our day. Back then, we washed the baby’s diapers because we didn’t have the throwaway kind. We dried clothes on a line, not in an energy-gobbling machine burning up 240 volts. Wind and solar power really did dry the clothes. Kids got hand-me-down clothes from their brothers and sisters, not always brand-new clothing. But that young lady was right, we didn’t have the green thing back in our day. Back then, we had one TV, or radio in the house, not a TV in every room. And the screen was about 19 inches, not 50 inches. In the kitchen, we blended and stirred most everything we ate because we didn’t have an electric machine to do it. We didn’t have prepackaged dinners and we didn’t have a microwave oven. When we packaged a fragile item to send in the mail, we used a wadded-up old newspaper to cushion it, not plastic bubble-wrap. Speaking of the post office, I can remember when those jobs were reserved for members of the military, when their days of service were completed. Today, those heroes have a very high rate of unemployment. We drank water from a fountain when we were thirsty instead of using a plastic cup or bottle every time we had a drink of water. I saw a statistic the other day. We humans use enough plastic bottles each year that if they were lined up end to end, they would stretch to the moon and back several times! Back in my day, people in the cities took the streetcar, or a bus, and kids rode their bikes to school or walked instead of turning their parents into a 24-hour taxi service. No wonder kids are obese! We didn’t need a computerized gadget to receive a signal beamed from satellites 2,000 miles out in space in order to find a nearest pizza joint or what was showing in the theatre. Thank you for your interest in Oasis Montana. For more information go to www.oasismontana.com, send us an email at info@oasismontana.com, or call us at 406-777-4321or 4309.